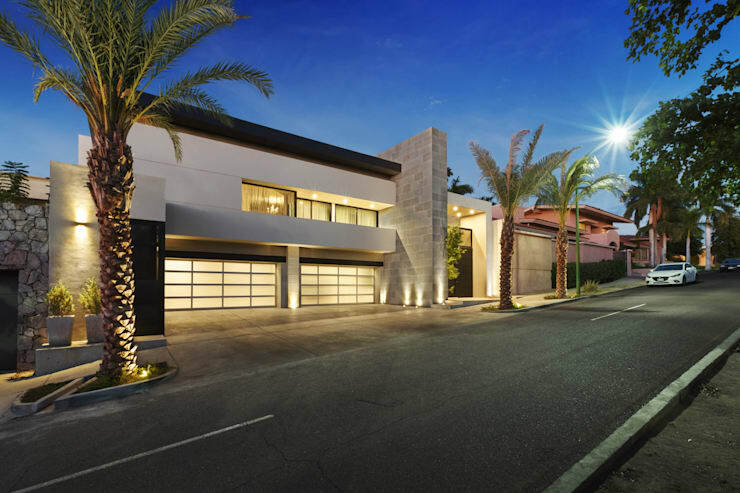 This amazing home takes us all the way to Mexico and presents a striking transformation, with architect Juan Luis Fernández having taken a 30 year old abode, located in one of the most sought-after neighbourhoods in Hermosillo, and moulded it into a contemporary masterpiece. The biggest challenge of this commission was to modernise the home's exterior, with its classic, late-70s style appearing dated but difficult to alter, necessitating delicate structural surgery upon the home's façade. The result is a construction that appears modern and sophisticated, with strong lines and contrasting textures now characterising the exterior. The interior layout involved minimal change, with the decor and furnishings adapted to suit the taste of the home's current occupants, who favour contemporary pieces constructed of natural materials. The crowning jewel of the dwelling is doubtless the rear garden, which has been completely redesigned to include an outdoor bar and pristine swimming pool. 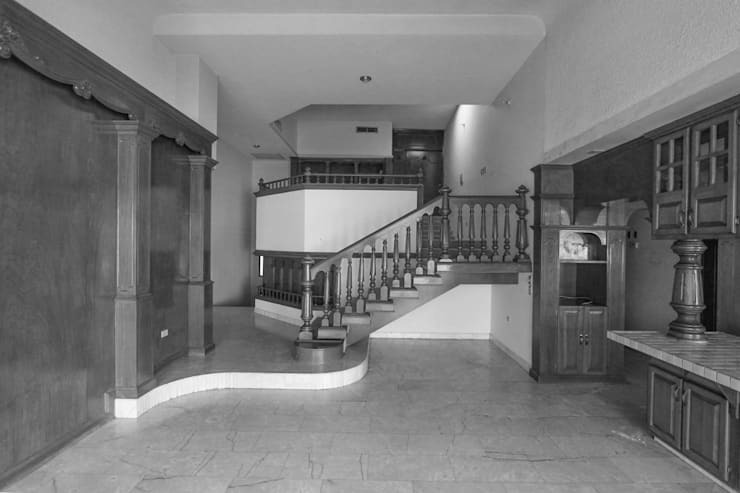 Truly this renovation presents an impressive success in terms of its sophisticated design and decoration, take a tour below and see for yourself! 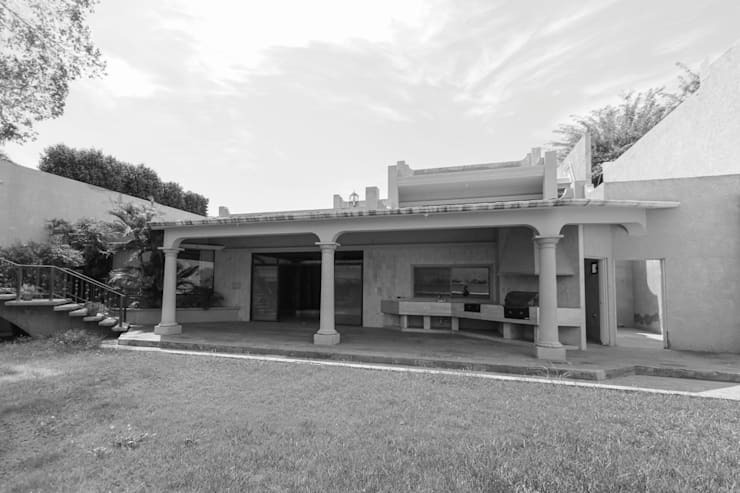 The original facade of the home appeared thick, heavy and geometric, with its concrete exterior beginning to show signs of wear and tear. 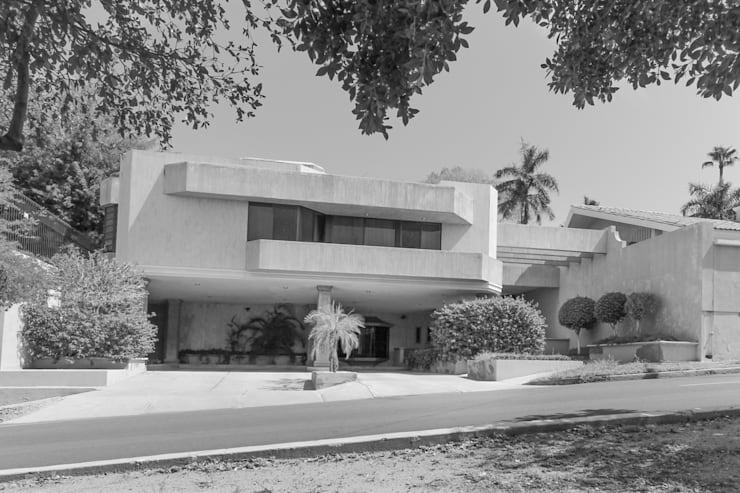 While at the time of its construction this architectural style represented the height of modern design, the home's dated appearance was evident amongst its chic, architectural surrounds, necessitating a contemporary revamp. The present-day facade of the home is almost unrecognisable, with plenty of light streaming out from the interior through expansive windows and translucent garage doors. The facade appears contemporary and streamlined, with multiple materials used in its renovation, from painted, white concrete to the grey bricks constructing the pillar streaming up by the front door. The living area of the home has always been spacious and filled with light, with a generous stretch of floor-to-ceiling windows bordering the majority of the room. 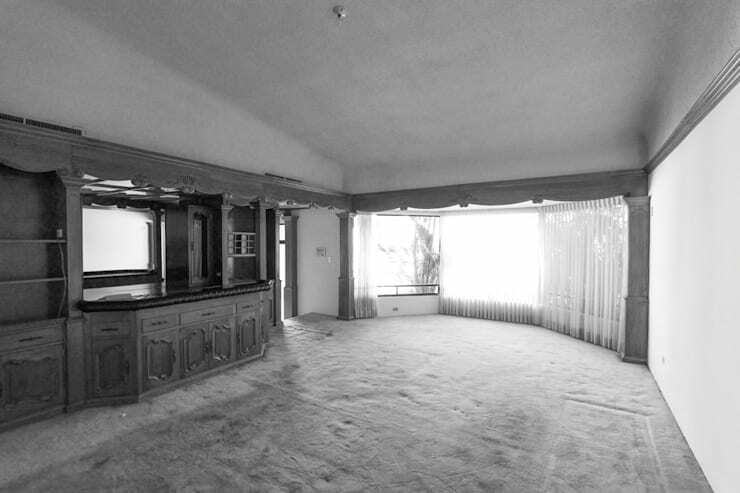 A bar rests opposite, providing a central vantage from which to entertain, with the entire space filled with potential… but not much else. 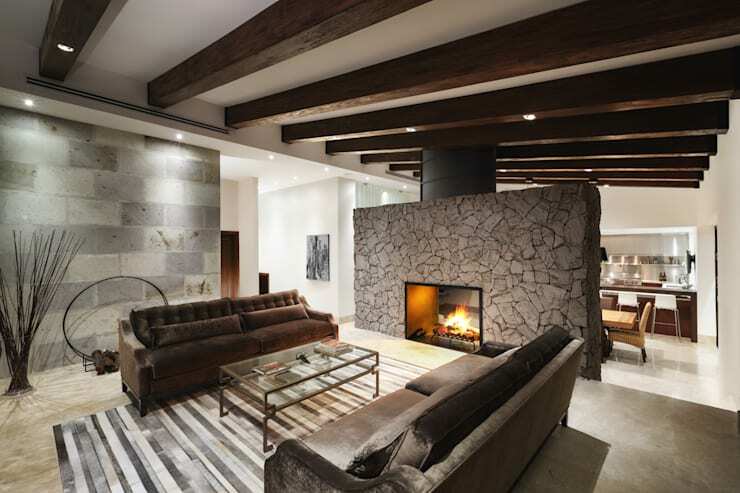 The new living quarters include a range of elements designed to surprise and delight the senses, with a huge, stone fireplace drawing focus within the room, housing a portal for heating as well as providing a functional wall sectioning the living and dining areas. A series of rustic, wooden beams stream overhead, while a wall of exposed, grey brick adds an industrial edge to the space. The sofas provide another textural element, with their soft velvet finishes shimmering beneath the glow of overhead lighting, helping to infuse the room with an inviting atmosphere. 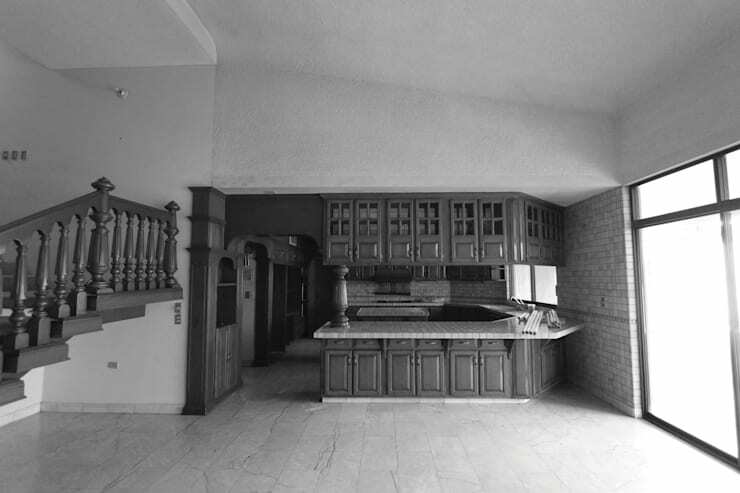 Across from the former living area used to reside this traditional kitchen and transitive space, with a wooden staircase providing access to the upper level of the home. The expanse in front of the kitchen was used as a small dining and entertaining area, with its traditional style still retaining a certain luxurious charm. The new dining room however, exudes both charm and style! 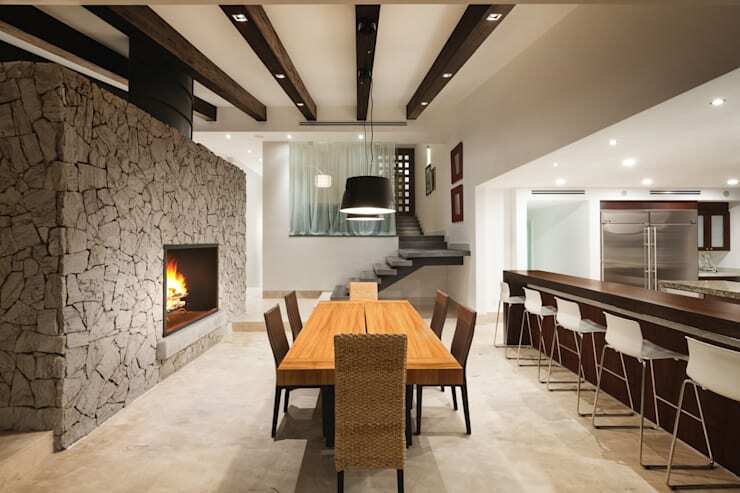 Situated on the opposite side of the large, stone fireplace this space houses a chic, wooden banquet table, which streams across the room in the same manner as the wooden beams flowing overhead. 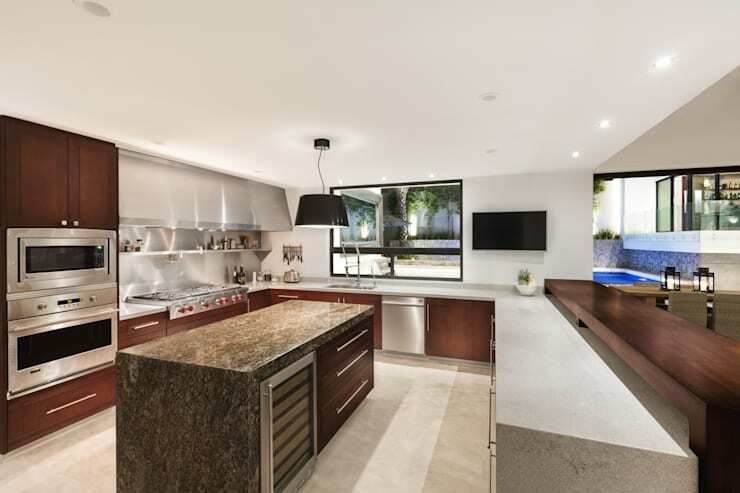 Adjacent to the dining setting is a modern kitchen, with space included for more casual dining and entertaining, and the luxurious finishes of stainless steel and stone visible beyond. The home's former kitchen, while expansive, definitely betrays its age, with its wooden frame and tiled bench presenting a bold but old-fashioned space. The use of wood throughout is palpable, with ample storage included for functionality, but the kitchen appears cramped and shut off from the rest of the house. Nowadays the kitchen truly blends in with the remainder of the home, with its open design capitalising on the ample space available for an expansive, contemporary construction. The kitchen islands exudes strength and opulence in brown granite, while the bordering benches are finished in paler stone. Wooden cabinets throughout provide for functional storage, while a smooth, streamlined wooden bench for casual dining adds a contemporary edge to the room, alongside its raft of generously sized stainless steel appliances. The home's original terrace once again benefits from a generous availability of space, but fails to properly capitalise on it, as the outdoor living area finishes at the edge of the ornate verandah and only a simple lawn extends beyond. This space invites reinvention in order that the occupants are better able to make use of the sun-filled, Mexican climate whenever the mood arises! The space now well and truly presents a stylish and inviting atmosphere for outdoor entertaining and relaxation, with the back yard now housing a pristine, blue swimming pool alongside an area for sunbathing and outdoor dining. 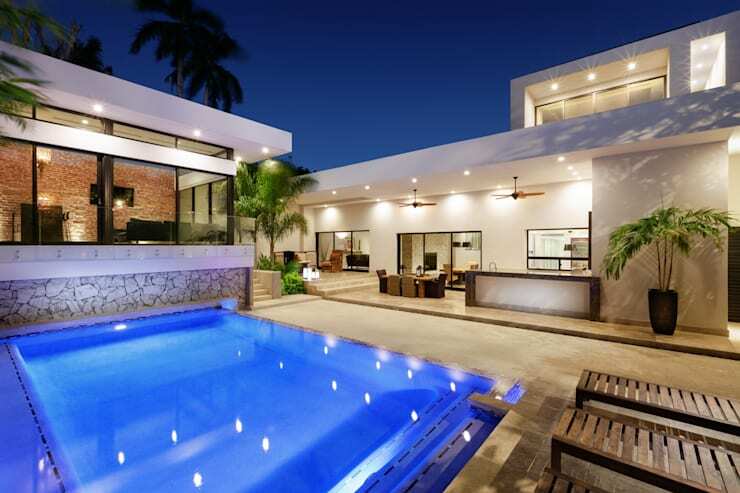 Looking out over the pool is a small pool house with room to accommodate indoor activities, while a sleek, contemporary bar has been constructed adjacent to the house, ready to accommodate refreshments for a host of guests. For another example of a stylish, contemporary abode take a tour of A Contemporary Brazilian Villa and get inspired! Would you like to live in this modern, Mexican renovation? Tell us your thoughts below!